Miley Cyrus' hand tattoos are unique and interesting. 14. Miley Cyrus' hand tattoos are unique and interesting. 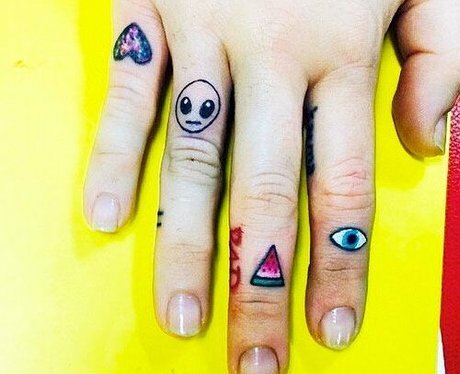 Miley Cyrus' hand tattoos are as unique and out of this world as she is. On her hand she has an alien, a heart, an eye, and a watermelon. It doesn't get more eclectic than that.